The Cedar Key Arts Center, Inc. was founded in 1994 by Catherine Graham Christie, a well known Cedar Key artist, as a non-profit organization. 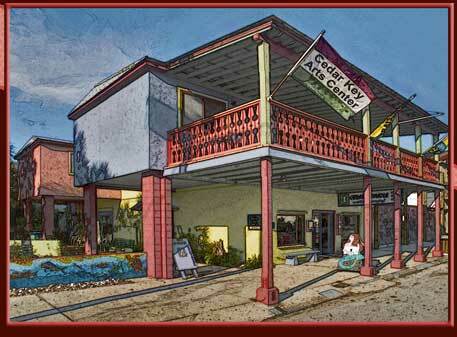 Her generous gift of the building and property on Cedar Key's Historic 2nd Street houses the Cedar Keyhole Artists Cooperative on the main floor and the Cedar Key Arts Center Main Gallery, Member Artist's Gallery, Digital Photography Laboratory and Art Studio on the second floor. Thanks again to Cathie Christies support and the hard work of many CKAC members, a larger studio, another bathroom and an elevator were added in 2016. The elevator will make the Arts Center accessible to more people.